It's been pretty much forever since I've updated any kind of bookish shopping fun or bookmark links. I stumbled on this from the artist Sash-kash on her Deviant Art page. She very generously allows free downloads and unlimited printing of these adorable owlish bookmark designs. 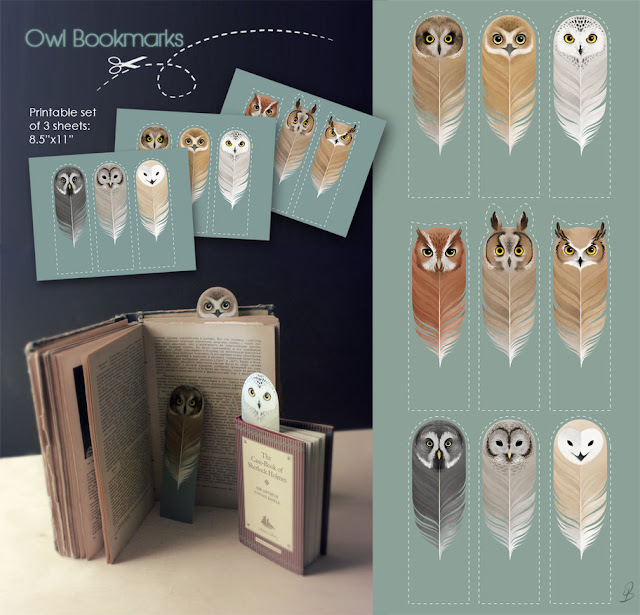 Especially since Harry Potter, owls and reading merge together like peanut butter and jelly.